One of the most difficult things to bring into the spirit of people is that the Spirit of God is a tangible substance, that it is the essence of God’s own being. We are composed of an earthly materiality, that is our bodies are largely a composition of water and earth. This may sound a little crude, but the actual composition of a human being is about sixteen buckets of water and one bucket full of earth. I am glad that there is one bucket full of good mud in us. Water, you know, is a composition of gasses, so you can see how much gas there is in mankind. But we are not all gas. You see, the spirit of man must contact and know the real Spirit of God, know God. We do not know God with our flesh, with our hands, nor with our brains. We know God with our spirit. The knowledge of God that our spirit attains may be conveyed and is conveyed to us through the medium of our mind, through the medium of our brains. The effect of God in our body comes through the medium of the spirit of man through the mind of man into the body of man. The Word of God again says that our FLESH shall rejoice. Not our mind, but our very flesh shall rejoice. The presence of God is to be a living presence, not only in the spirit of man, nor in the mind of man alone, but also in the flesh of man, so that God is known in ALL departments of our life. We know God in our very flesh. We know God in our mind: we know God in our spirit. Bless His precious Name. The medium by which God undertakes to bless the world is through the transmission of Himself. Now the Spirit of God is His own substance, the substance of His being, the very nature and quality of the very presence and being and nature of God. Consequently when we speak of the Spirit of God being transmitted to man and into man, we are not talking about an influence, either spiritual or mental. We are talking about the transmission of the living substance and being of God into your being and into mine. Not a mental effect, but a living substance, the living being and actual life transmitted, imparted, coming from God into your being, into my being. Bless God! That is the secret of the abundant life of which Jesus spoke. Jesus said, “I am come that ye might have life, and that ye might have it MORE ABUNDANTLY,” (John 10:10). The reason we have the more abundant life is because that by receiving God into our being all the springs of our being are quickened by His living presence. 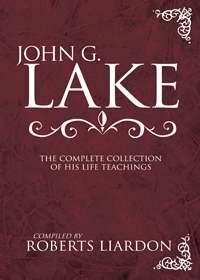 Consequently, if we are living today and we receive God, we live life in a fuller measure, we live life with a greater energy because we become the recipients of the energy of the living God in addition to our normal energy, through the reception of His being, His nature, His life into ours. The wonderful measure that the human being is capable of receiving God is demonstrated by some of the incidents in the Word of God. For instance, the most remarkable in the Scriptures is the Transfiguration of Jesus Himself, where with Peter, James, and John the Spirit of God came upon Him so powerfully that it radiated out through His being until His clothes became white and glistening and His face shown as the light. Now one must be the recipient of the light, glory and power of God before he or she can manifest it. Jesus demonstrated these two facts: the marvellous capacity of the nature of man to receive God into his being, and the marvellous capacity of the nature of man to reveal God. In the glory shining through His clothes, in the glistening of the glory of God that made His face glorious and wonderful, He demonstrated man’s capacity to reveal God. The human being is God’s marvellous, wonderful instrument, the most marvellous and wonderful of all the creation of God in its capacity to receive and reveal God. Paul received so much of God into his being that when men brought handkerchiefs and he took them in his hands, and when the women brought their aprons and handed them to him, the handkerchiefs and aprons became so impregnated with that Living Spirit of God, that living substance of God’s being, that when they were carried to one who was sick or possessed of devils, the Word says when they laid the handkerchiefs or aprons on them the Spirit of the living God passed from the handkerchiefs or aprons into the sick man, or into the insane man, and the sick were healed and the devils were cast out. You see, people have been so in the habit of putting Jesus in a class by Himself that they have failed to recognize that He has made provision for the same living Spirit of God that dwelt in His own life and of which He, Himself, was a living manifestation to inhabit your being and mine just as it inhabited the being of Jesus or Paul. There is no more marvellous manifestation in the life of Jesus than that manifestation of healing through the Apostle Paul. You remember the incident of the woman who touched the hem of Jesus’ garment knowing how His whole being, His whole nature radiated that wondrous, blessed life of God of which He was Himself the living manifestation. She said within herself, “If I can but touch His garment I shall be healed.” So she succeeded, after much effort, to touch the hem of His garment, and as she touched the hem of His garment, there flowed into her body the quickening life stream, and she felt in her body that she was made whole of the plague. And Jesus, being conscious that from Him something had flowed, said to Peter, “Who touched me?” Peter replied, “Why Master, you see the crowd, and do you say, who touched me?” “Oh,” He said, “SOMEBODY touched me, for I perceive that virtue has gone out of me.” If you will analyse that Greek word you will see it means the life or substance of His being, the quickening, living power of God, the very nature and being of God. If I transmit to another the virtue of my life, I simply transmit a portion of my life to another, the life power that is in me, blessed be God. The life of God that flows through me is transmitted to another, and so it was with Jesus. Now then, because of the fact that people brought to Paul handkerchiefs and aprons and they became impregnated with the Spirit of God, and the people were healed when they touched them, it is a demonstration in itself that any material substance can become impregnated with the same living Spirit of God. In my church in South Africa we published a paper in ten thousand lots. We would have the publishers send them to the tabernacle, and we would lay them out in packages of one or two hundred all around the front of the platform, and at the evening service I would call certain ones of the congregation that I knew to be in contact with the living God to come and kneel around and lay their hands on those packages of papers; and we asked God not alone that the reading matter in the paper might be a blessing to the individual and that the message of Christ come through the words printed on the paper, but we asked God to make the very substance of the paper itself become filled with the Spirit of God, just like the handkerchiefs became filled with the Spirit of God. And if I were in my tabernacle now I could show you thousands of letters in my files from all quarters of the world, from people telling me that when they received our paper, the Spirit came upon them and they were healed, or when they received the paper the joy of God came into their hearts, or they received the paper and were saved unto God. Beloved, don’t you see that this message and this quality of the Spirit contains the thing that confuses all the philosophers and all the practice of philosophy in the world? It shows the clearest distinction which characterises the real religion of Jesus Christ and makes it distinct from all other religions and all other ministries. The ministry of the Christian is the ministry of the SPIRIT. He not only ministers words to another but he ministers the Spirit of God. It is the Spirit of God that inhabits the words, that speaks to the spirit of another and reveals Christ in and through him. 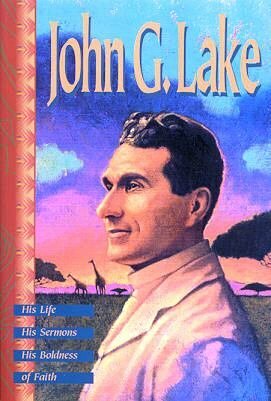 In the old days when I was in Africa, I would walk into the native meetings when I did not understand the languages and would listen to the preacher preach for an hour, and I did not understand a word he said. But my soul was blessed by the presence of the Spirit of God. As Bishop of the church, as I went from place to place holding conferences here and there among white and native people, in many of them, people would speak either in English or Dutch. But I was just as much blessed when a Dutchman spoke and I did not understand him as when an Englishman spoke. Why? Because the thing that blessed my soul was the living Spirit of God. Perhaps I had heard better words than his, perhaps clearer explanation of the Scriptures than he could give, but I was blessed by the presence of God. The thing that the individual was ministering to my soul was the living Spirit of God. The ministry of the Christian is the ministry of the Spirit. If the Christian cannot minister the Spirit of God, in the true sense he is not a Christian. If he has not the Spirit to minister in the real high sense, he has nothing to minister. Other men have intellectuality, but the Christian is supposed to be the possessor of the Spirit. He possesses something that no other man in the whole world possesses, that is, the Spirit of the living God. These letters are to dear people all over the land, and I have this feeling that I would like to revive among us that blessed old practice of believing God for the very substance of the letter, the paper, or handkerchief to become so filled with the Spirit of the Lord God that when it comes into their hands that they would not only feel blessed by the words of the letter, but the blessed Spirit of God would flow into their being out of the substance of the paper itself. That is Christianity. That is the Gospel of Jesus Christ. That is the thing that goes thousands of miles beyond psychological influence. If you want a clear distinction between psychological religions, as they are called, or mental science, you can see it in a minute. The real Christian ministers the real Spirit of God, the substance of His being. There should never be any misunderstanding along these lines in the minds of any. A minister of Jesus Christ is as far removed above the realm of psychological influences as heaven is above the earth. Blessed by God. He ministers God Himself into the very spirits and souls and bodies of men. That is the reason that the Christian throws down the bars of his nature and he invites God to come in and take possession of his being. And the incoming of God into our body, into our soul, into our spirit accomplishes marvellous things in the nature of man. Yes, the living Spirit of God absolutely dematerialised the tumour, and the process was accomplished in one night while the woman slept. That is one of God’s methods of surgical operation, isn’t it? Beloved, the Spirit of God took possession of that dear soul’s person. That tumour became filled with the Spirit of God, and the effect of the Spirit of God in that tumour was so mighty, so powerful, that the Spirit of God dissolved it. That is the secret of the ministry of Jesus Christ. That is the secret of the ministry of Christianity. That is the reason that the real Christian who lives in union with the living God and possesses His Spirit has a ministry that no other man in all the world possesses. That is the reason that the real Christian here has a revelation of Jesus Christ and His almightiness and His power to save that no other human in all the world possesses. Why? He is full and experiences in his own soul the dissolving power of the Spirit of God that takes sin out of his life and makes him a free man in Christ Jesus. Blessed be His Name forever. A few weeks ago a dear woman called me over the telephone and said, “I have a young friend who is a drunkard, and the habit has such power over him that he will go to any excess to obtain. Dry state or no dry state, he has to have it. He is an intelligent fellow. He wants to be free. We have invited him to my home for prayer, and he is here now. I want you to join me in prayer for him.” I said, “All right, but first you call one of your neighbours to join you in prayer for this man; then when you are ready, call me on the phone, and Brother Westwood, and Mrs Peterson, and we will join you in prayer.” She called me in a little while, and we united our hearts in prayer for the young man,, who was on the other side of the city. About twenty minutes afterward he arose from his knees and with tears in his eyes he took the woman by the hand and said, “I am a man of sense. I know when something has taken place within me and the appetite has disappeared.” That is the ministry of the Spirit, the ministry of God to man. Blessed be His Name. Isn’t it a marvellous, wonderful thing that God has ordained an arrangement whereby man becomes God’s own co-partner and co-labourer in the ministry of the Spirit, “the Church which is His body.” Just as Jesus Christ was the human body through which the living Spirit was ministered to mankind, so God has arranged that the living Church, not the dead member, but the living Church, alive with the Spirit of the living God, should minister that quickening life to another and thereby become a co-partner, a co-labourer together with God. Blessed be His Name forever. Men have mystified and philosophised the Gospel of Jesus, but the Gospel is as simple as can be. Just as God lived and operated through the body of the man, Jesus, so Jesus, the Man on the throne, operated in and through the Christian, also through His Body, the Church, in the world. Just as Jesus was the representative of God the Father, so the Church is the representative of Christ. And as Jesus yielded Himself unto ALL RIGHTEOUSNESS, so the Church should yield herself to do all the will of God. The secret of Christianity is in BEING. It is in being a possessor of the nature of Jesus Christ. In other words, it is being Christ in character, Christ in demonstration, Christ in agency of transmission. When a person gives himself to the Lord and becomes a child of God, a Christian, he is a Christ man. All that he does and all that he says from that time forth should be the will and the words and the doing of Jesus, just as absolutely and entirely as He spoke and did the will of the Father.